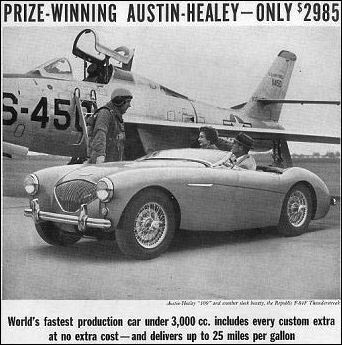 From October 1954 a special export model-the 100S becomes available. 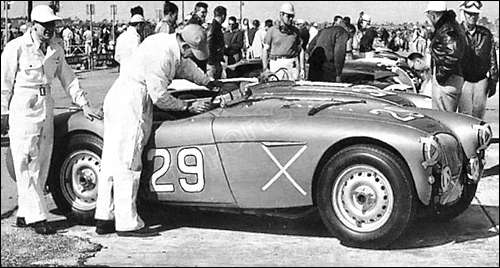 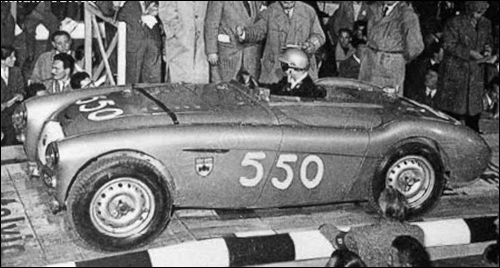 3rd at Sebring 12 Hours: Austin-Healey 100, chassis #SPL 257BN, engine: BMC A90 L4 2660 cc (Lance Macklin / George Huntoon) by Donald Healey Ltd.
Austin-Healey 100, chassis #SPL 256BN, engine: BMC A90 (Lance Macklin) at Mille Miglia. 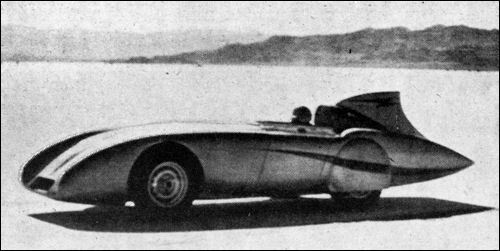 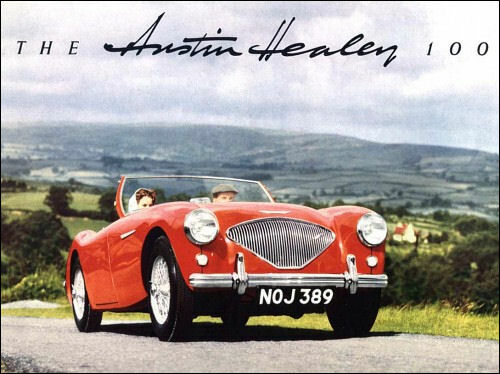 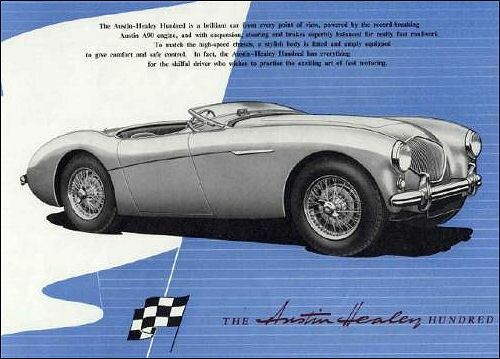 The Austin-Healey SPL261-BN streamliner broke speed and endurance records at Bonneville Salt Lake. 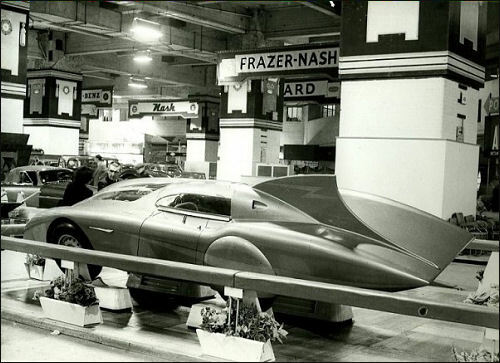 The record breaker at Earls Court.